Ever since the night of her Parents Disappearance eight years ago; 17 year old Ella St. John has known she was different. The CREATURE… did he take her parents that night, or was it a delusion? FLASHBACKS… Keep her from living her life. AUNT SAGE… Keeps secrets, does she know more than she lets on? The sudden feeling of BEING WATCHED…. What does it all mean? When Ella St.John Heads home from her shift at the Pink Java Cafe, she hardly expects to be attacked. Much less by the same creature responsible for her parents mysterious disappearance eight years earlier. This is Ella's first encounter with a dark creature of Murumendi; but it certainly won't be her last. Within moments Ella's life as she knows it is ripped away, forcing her to discover who and what she really is. Will she be able to handle the truth? 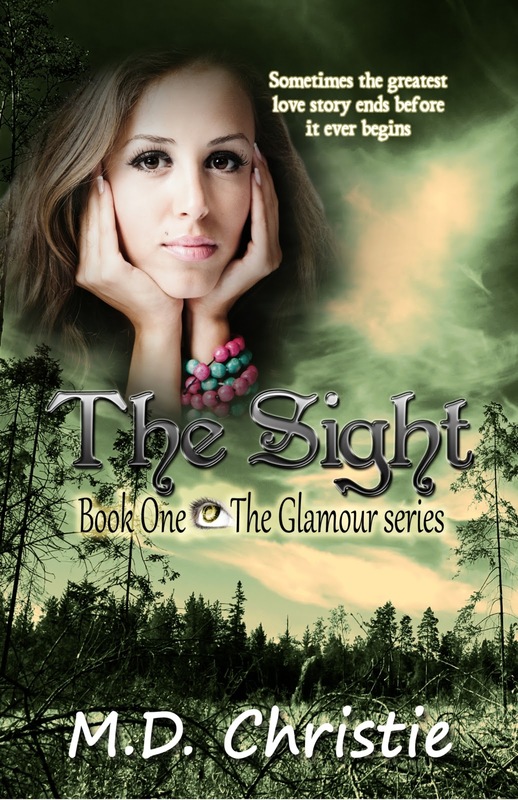 The Sight Book One of The Glamour Series will take you on a Fantastical Journey of Love, Loss, and the Battle between Good vs. Evil. Thank You Christine, for featuring The Sight's cover reveal for Sample Sunday! Hey M.D. the bathroom is a place of honor in this house...It's the locaton of all the best books. Like a bestseller list!